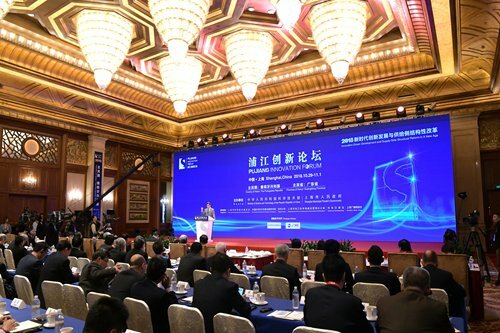 Pujiang Innovation Forum holds great significance in the process of building Shanghai into a science and technology innovation center with global influence, said Li Qiang, secretary of the Shanghai Municipal Committee of the Communist Party of China in his keynote speech at the opening ceremony of the forum on Tuesday. From Monday through Thursday, the 10th Pujiang Innovation Forum is expected to draw over 200 Chinese and foreign scholars, scientists, entrepreneurs and government officials to shed light on various topics in scientific research and innovation. Organized by the Ministry of Science and Technology of China and Shanghai Municipal People's Government, the forum has been held for nine consecutive years in the city. This year's forum had a 25-percent attendance by foreigners. Portugal is the country of honor and South China's Guangdong the province of honor. With a theme of Innovation-Driven Development and Supply-Side Structural Reform in A New Age, the four-day event includes various forums and lectures with a focus on young innovators, regional cooperation of Guangdong-Hong Kong-Macao Greater Bay Area and the Yangtze River Delta region as well as forefront domains in scientific researches such as human phenome project and epidemiology. Li pointed out that, to accelerate the construction of building Shanghai into a science and technology innovation center with global influence, the city must increase its innovative capability and strive to become the source of new ideas, scientific discoveries and inventions. To achieve that goal, he believes Shanghai should strengthen basic research with a focus on the academic forefront, combine interdisciplinary innovation resources and be an active player in global scientific plans and projects. Some key areas include artificial intelligence, integrated circuit, biological medicine, space and aviation, and oceanographic engineering. International cooperation is one of the most brought-up phrases by speakers who shared their expectations to further and deepen scientific and innovation cooperation with the platform of Pujiang Innovation Forum. Paulo Ferrao, president of the board of Foundation for Science and technology of Portugal, said that he hopes Portuguese and Chinese scientists can further collaborate in the exploration of space and navigation under the Belt and Road initiative. Antoine Petit, president of the French National Center for Scientific Research, believes France and China should further develop a network of critical methods to integrate talents from different domains to collaborate on scientific research. "We need to create an ecosystem that involves universities, research institutions, companies and startups to share knowledge and know-how," he said. To further enhance and boost international cooperation, Zhang Quan, director of the city's science and technology commission, said that for the next step Shanghai will strive to improve the international innovation environment, promote more platforms and projects for international talents. 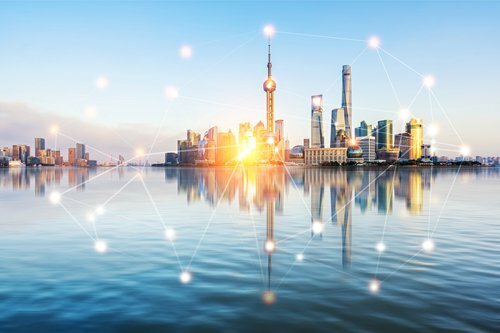 According to the 2018 Shanghai innovation hub development white paper released by the city's science and technology commission and the Hurun Report, the number of innovation hubs in Shanghai exploded between 2015 and 2016. According to the white paper, over 60 percent of these hubs provide services in international cooperation. In 2017 alone, 712 international communication activities were held in those hubs. Thus far, Shanghai has attracted a number of well-known innovation hubs to settle in the city, such as Plug&Play and WeWork. At the same time, the city is actively engaged in drawing international talents. Just a few months ago, Shanghai issued the first "business startup visa" to French entrepreneur Marc Olivier. The visa offers foreigners a chance to establish new and innovative startup businesses within Shanghai. Zhang said the next step for Shanghai is to further allocate innovation resources to meet the demand of young people and strive to be an attractive innovation hot-spot for global young talent.